"I am a storyteller", "song-writing", "stories of joy", "wedding songs"
Did you know that I sing? Last month, in a group video chat, I met the lovely Ashley of Pencilled Daydream. 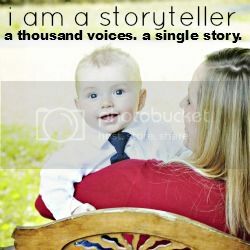 It was so cool to hear her heart for this blog link-up of I am a Storyteller. She really sees that everybody has stories and wants to offer space for them to share them. Today my story is unconventional because it's far less written and far more musical. I've been singing for as long as I can remember. I started playing guitar around grade 8 or so, and I started writing songs songs soon after. I was a pretty emotional little teenager so songs were how I really got out a lot of what I needed to say. Fast forward to not being a baby teenager, I still love to write songs. As I've made blogging a priority over the last 8 months, my song writing has been put a bit on the back burner but I still write a song here and there. Maybe I'll start sharing them here. Writing love songs is super fun because love is joy personified. right? sure . . . whatever. I've also had the opportunity to share two songs that I wrote at weddings. The first was at my brother Greg & his wife Danielle's wedding back in 2010. It was a fun outdoor wedding several hours out of Winnipeg. sorry for the sideways view. I've never known how to fix it and it's more about sound than looks anyways. This song is called 3 Steps Forward. I had the video embedded in but for some reason it's not working so just go to this link okay! Thanks ---> 3 steps forward. You have walked deep into my heart. I can't remember who I was before we started. And then last year, one of my best friend's Christy got married. Her husband, then fiance, pulled me aside one day and asked me to write a song for their first dance. These songs are ones that fill me with joy because they're from such special moments in the history of my family and friends. And while I'm still wishing and hoping and planning and praying - I've got hope that one day God will lead me into a marriage where I can sing there words to someone.